What up, y’all! Just got back and sobered up from our financial blogging conference, and thought I’d share some of the highlights from it. Namely, the handful of new financial companies that were part of our yearly fintech competition I helped judge! It’s always so interesting to see how people use technology to solve our problems out there, and just like last year’s competition this one did not disappoint. 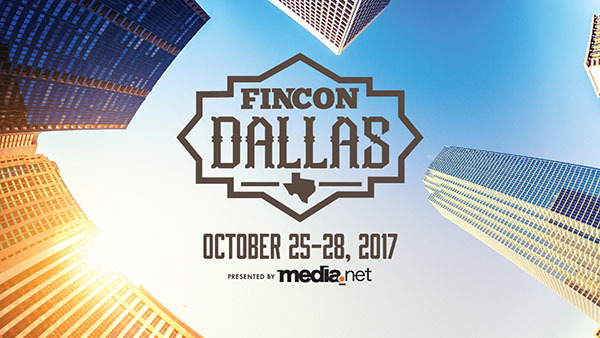 So what happened at FinCon 2017? And lastly – we had one pretty damn fun Halloween party to wrap up the conference! Erik from The Mastermind Within said it best: “it was hilarious to see people with $1 million+ net worth’s singing Sir Mix-a-lot’s “Baby Got Back”.” Haha… That’s how we roll! If you can’t live it up, what’s the point of all that money?? Now to the Fintech Competition, and the 10 new financial companies to watch out for! As I mentioned, I was one of the two judges for it again this year, where our ratings made up for 50% of the votes with the audiences’ making up the other 50%. We awarded two prizes for the night – $1,000 for first and $500 for 2nd – and below are my honest opinions of each, along with what they do. I’m not getting compensated by anyone listed here, and there are no affiliate links included at all. KINFO (GoKINFO.com) — KINFO is an app for DIY investors that brings together information from hedge funds, insiders, analysts, bloggers and other private investors so you can see what everyone else is doing along side you. Particularly bloggers which the founder seems most excited about as it helps put all of our personal recommendations into one spot for people. Though as many of you know mine would look pretty boring as it would only show one fund: VTSAX :) I’m not sure if looking at what others are doing adds more or less noise into the decision making process (probably more? ), but then again I was influenced to go All In with Vanguard from my peers so it could prove to be a pretty helpful resource. Squeeze (Squeeze.com) — Squeeze is an app that helps you save by finding the best deals, promo codes, and coupons directly related to your current spending. It sounded a lot like the others in the field so I had a hard time putting them into their own special bucket, but needless to say you can’t have too many coupons in this hyper consumer world of ours… And as for branding, they absolutely NAILED it. Some of the other fintech names were pretty random! Take Command Health (TakeCommandHealth.com) — These guys won my personal award for the best presentation, if only for the inclusion of photoshopped Trump and Obama pics littered throughout :) But their app was def. no joke. In a nutshell, Take Command helps you easily find the best option for health coverage by using big data to help source the best, and cheapest, health care options for you both on and off the exchange. 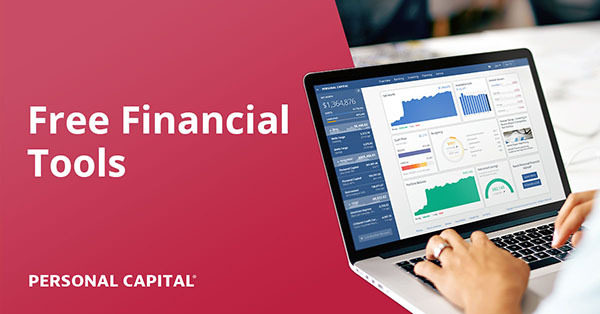 They also shared the release of their small business feature which helps companies offer better and cheaper plans to their employees as well – something that many places are struggling hard with right now. So while the topic of health insurance typically doesn’t turn heads (at least for good reasons! ), these guys had our immediate attention and I wouldn’t be surprised a bit if they hit a home run with this. Qoins (Qoins.io) — Do these guys look familiar?? They should! I featured them here last year the second I came across them because they’re the FIRST to finally apply “rounding up” technology to debt!!! Which is something severely lacking in our industry… And while I had to recuse myself from voting on this one since I was definitely biased (they donated $$$ to our Community Fund over at Rockstar Finance), I was beyond pleased to see them here and thought they gave a great presentation. You can find my review of them here (I was the first ever blogger to share them!) but in a nutshell they round up all your transactions to the nearest dollar, and then uses the spare change to help pay off your debt every month. It won’t clear all of it, but every $30 or $40/mo helps! Alright… Ready to guess who won?? Any really stand out to you?? So there we are – another great conference on the books :) THANK YOU thank you THANK YOU to everyone who came out and put up with me over the weekend! It was a blast hanging out with my 2nd family in the flesh, and I wish you all a most successful next year. Special shout out to the following who really made me smile throughout: Chelsea Norton, Cait Flanders, Steve Adcock, Jim $, Shin, Bobby Lee, Pete McPherson, Latoya Scott, Fritz, Hélène, Hannah Rounds, the Tiller Team, Miss Mazuma, Optimal Finance Daily, John and Sharon Duffy, Shannon Austin, The Dumpster Dog, Miss Thrifty, Maria Nedeva, FIREcracker, and Romeo Jeremiah. See y’all in another 11 months! Birch definitely looks like it would be helpful for me! I can never keep the 5% bonus categories straight across my credit cards. Haha yeah – they’re def. onto something with it. I really like the sound of the honeyfi app. 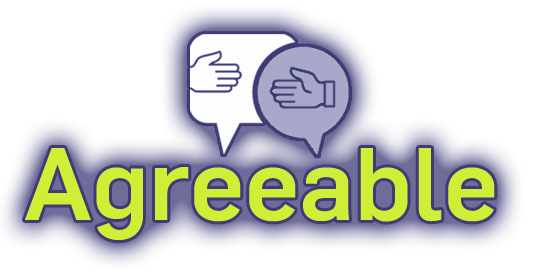 I think something to make couples work together on finances is an awesome idea! Especially since there’s typically the free spirit who could care less, but wants to be all in with their spouse. This would keep them on the same page for sure! Looks you had lots of fun. Your bathroom interview and Halloween twin pictures went pretty viral:-). Just checked out that Sally Mae rap song, it’s hilarious. I can relate to every thing he said. I checked out KINFO sometime ago and just like you, our portfolio would be boring. But once, we pay off our mortgage, we will be able to afford to take more risks and have a little more fun. Birch sounds awesome! I’ll have to check a few of these out. It was great to meet you in Dallas… see you in Orlando! Haha that’s an awesome summary! Short and informative. I’m glad you had a blast at the conference. Music and Halloween party sound like a great addition to FinCon. It’s so cool someone dressed up like you. And congrats on the award! Hopefully, with this app, it would motivate her to be more involved. Nice post, and thanks for sharing! A number of cool apps, too. It will be interesting to see which really take off. While there are so many out there (which is a good thing), it might be difficult to pick a few core apps without over doing it. Glad I was able to say hello and Thank You in person down in Dallas. Those Rockstar Finance features were among the first signs that I was welcome in this blogging community. I think I still need to buy you a beer; I wasn’t about to drop $9 on a Shiner Bock, but I’ll hook you up with some Jai Alai or similarly good Floridian beer next year. I’ve added your recap to my growing list of them at the end of my 2,500 word recap. I had to cut myself off or I could have easily ended up with 10,000 words. Haha, I hear ya brother…. and I shall most def. take you up on that beer offer later ;) In a moment of weakness I *did* shell out the $9 for a Shiner and quickly looked around to make sure no other bloggers saw it! I missed the Fin Tech portion of the conference and am sorry I did. It’s a must-see for me next year. Great seeing you again and looking forward to it in 2018! FinCon sounds amazing. I’m working my a$$ off so I can go next year. I think Honeyfi sounds really interesting. With every couple I talk to, one of them manages the money. I’m a fan of any way to keep both partners involved. Awesome meeting you and your clone, J$! Thanks for the shoutout. Def. a pleasure on my end too – you were one of the small handful I was really interested in meeting, and you did not disappoint :) I don’t think I ever saw you stop smiling? As open enrollment hits and health insurance is slated to cost me $20k this year in premiums….I was hopeful for Take Command Health, but I’m out of the coverage area…. Hopefully they expand for the next year, seems like a great idea. Its not dude, its really not. Maryland doesn’t allow for companies with only common law employees to be considered for the business exchange, I have to shop individual… I have contractors that work for me but they are not employees, so…. I’m trying to see how I can jump on a group plan. Freelancers union doesn’t have the info up yet, well see if it makes any sort of difference at all. FinConnnnn!! It’s not even a year away. :) I bought my ticket to Orlando and even persuaded hubster to come with me. I LOVED Route To Retire’s J$ costume. I actually had to do a double-take because I thought you had shrunk about 12 inches. You know, I did a review of Squeeze and I personally wasn’t a fan. I think they have a lot of bugs to work out. I’m also not sure if vendors pay to be suggested as “cheaper” alternatives by Squeeze, so I’m not sure how reliable their suggestions are. Ahhhh good to know!!! Thanks for sharing your insight! I’d never heard of them before. Birch sounds like the app I need! I constantly forget what cards I have and should be using so I bug my husband who needs to remember for me. Aw I saw Route to Retire’s post – the photo of Amy helping him get ready and the rest of the pictures highlight what a community this is. Do this is what millionaires do with their spare time. I wish I was there – it’s more party than a biz convention like I originally thought. Take Command health is something I will need to try with retirement ahead in 2018 and health care unbelievably confusing when not relying on a employer based plan. FinTech must have been a blast. Just one question — Are those beers a business write-off? Man, who knew PF nerds were such partiers? It looks like FinCon17 was a great time for everyone, I hope to join in the fun next year! I would definitely use the Birch App. I’m also going to take a look at Take Command Health for my partner who doesn’t have coverage from an employer. Man, those are definitely two good-looking dudes at the Halloween party! ;-) Awesome time hanging with you and all your peeps! Thanks for this breakdown – I didn’t have time to squeeze in the FinTech stuff, so this is definitely helpful. Looks like there were some good ones out there. We’re just a couple years away from quitting the 9-5, so services regarding healthcare (like Take Command Health) are definitely something I’m interested in learning more about! A damn good problem to have at that stage of $$$ :) maybe I’ll change my haircut to *yours* to help you celebrate on that fateful day! I vote for your clone for best Halloween costume and I’m glad Take Command Health was one of the app finalists because that’s my fav one too! Thanks for making FinCon awesome for all of us by being your amazing self! Hope to see you again in the near future! No YOU are awesome! (No YOU are awesome!) No YOU are awesome!! HoneyFi sounds pretty cool. My wife and I currently print our credit card bill out each month and label each transaction by hand. For some of them, we don’t remember what the purchase was for. This can help solve that problem. Oh yeah! Especially as HoneyFi allows you to record notes together in it so both parties can stay on top. Thanks for the shout out J$! It was great to meet you in person as well at FinCon! The truth is that you and other PF bloggers with the 1-4 fund Vanguard portfolios are role models for sustainable wealth building! Thanks man, very nice to meet you too :) Now when I read your messages I can picture your accent to go along with it! 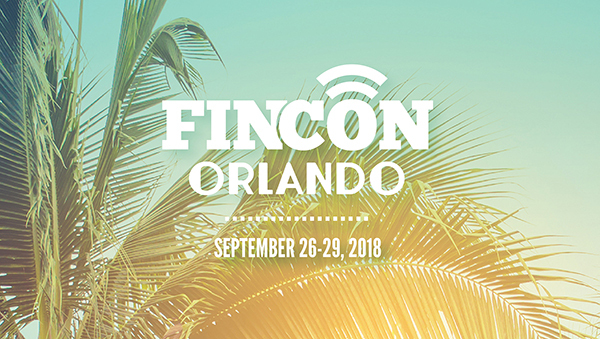 Firstly: I’m booked for FinCon18 in Orlando. Helps that I’m only a 3 hour drive away, so I have no excuse this time! Second: Birch seems similar to the TPG To Go app, although it can sometimes miss the correct card when it’s a limited-time (quarterly) offer. So you were right, when you thought it already existed. Third: VTSAX is pretty much all you need. I just re-read that GCC is trying to get to 100% equities, and that’s the best fund I can think of to do that! Rock on man – see you next year! how does wizeFi compare to some free apps like Money clarity or Bill karma? 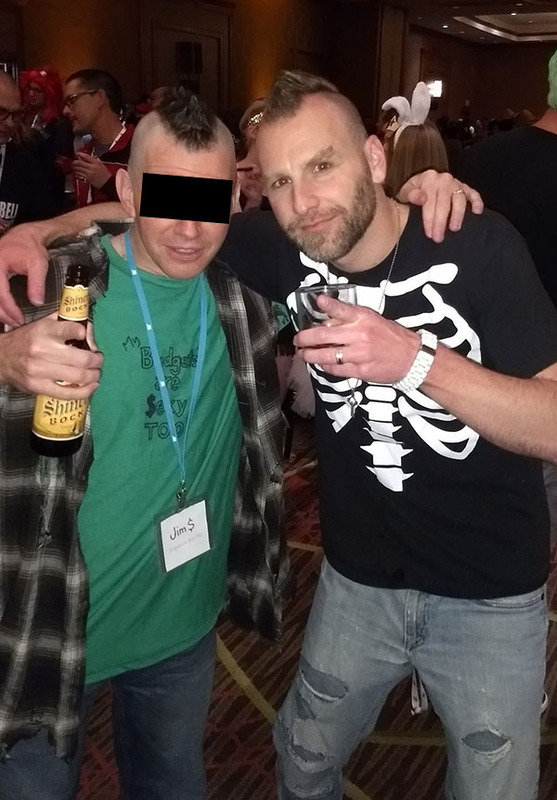 So awesome to finally get a chance to meet you in person at FinCon, J! I wish we’d had more time to talk together; for sure next time! The bit about side hustles reminded me of a conversation I had with our entrepreneurial center. I was starting a photography side hustle and stopped in for some business advice. The adviser (who I must point out is otherwise a very great resource and a wealth of business knowledge and provides free mentoring) upon hearing my idea immediately started talking about calculating how much business I would need to replace my current income. I stopped him mid-sentence to tell him “I think you’re jumping ahead, I never said I wanted to replace my income.” In all fairness, I’m sure most people who come to him for advice are looking to start full-time businesses, but for me photography is a great side hustle (and also part of my regular job, which is why I’m not that interested in replacing it – until I can replace it with FIRE that is!). As for the apps, my pick would be the couples finance app – and I say that objectively as I’m not even close to being the target audience for that (I just started dating someone and our finances are as separate as they come!). It solves a major problem consumers have and doesn’t have a lot of duplication. I really don’t do too much with credit card rewards, but Birch sounds very interesting and it could be beneficial to a lot of people. I liked Take Command Health but some others I talked to said there were some hiccups with the platform. It was great to meet you (and Jim$)! See you next year in Orlando! Hey J Money, I was Not able to attend his year’s event but I look forward to 2018. I will definitely be checking out these apps. as for birch it sounds a lot like Wallaby so not sure if that’s the one you were thinking of. I like the fact that Wallaby tells me which card to use based on all the benefits and I think it also suggests other cards in the market. However, I dont think it has the capability to do what if scenarios to show you what you missed had you use a different card. Anyways, appreciate all the info and perhaps I’ll get to meet you and all the crazy millionaires while dancing on the floor next year! Sounds pretty similar indeed, and maybe that’s the part that stands out w/ Birch? The matching against other cards available that you currently don’t have? Regardless, we’ll have to meet up at next year’s event :) Make sure to stop me when we cross paths! Birch sounded familiar because Wallaby does the same thing. Awesome seeing you man! I hope we get to meet again soon. I love the idea of helping couples get on the same financial foot. Very interesting.